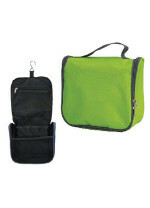 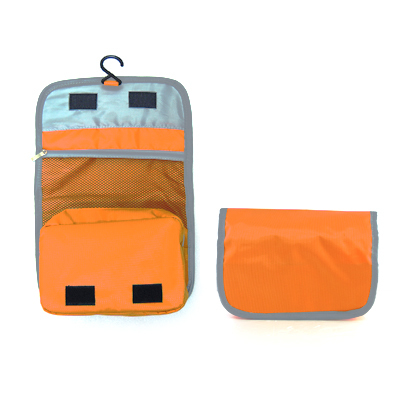 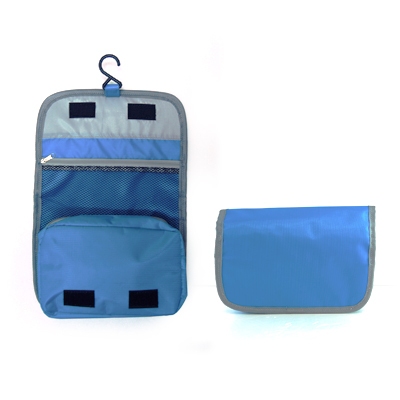 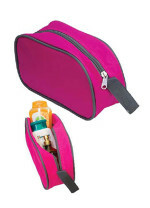 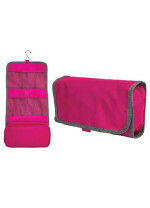 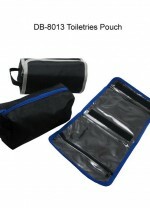 Basic toiletry bag with 2 main compartments to carry your toiletry accessories. 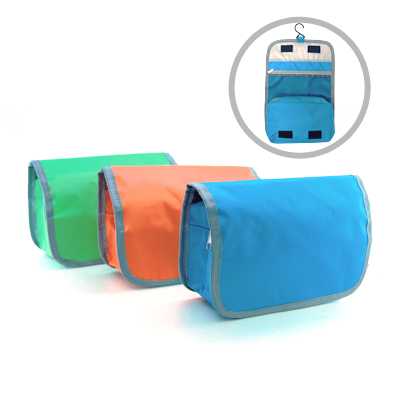 Foldable feature is ideal for travelling. 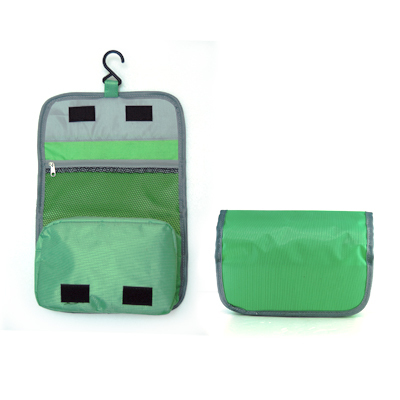 Includes a hook to hang the pouch. 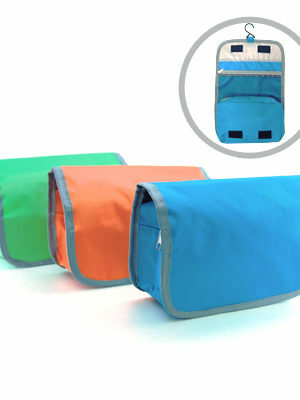 Colours: green, orange and blue.